Ningbo Shenxin Garments & Knitting Co. Ltd., Which is located in the beautiful harbor city - Ningbo, is a professional manufacturer of quality men's, women's, children's and infants' knitted garments. While children's and infants' wear dominate exports at 50 percent. 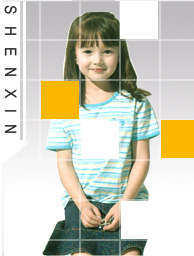 NINGBO SHENXIN GARMENTS&KNTTING CO.,LTD. ADD:Rm5-13 Jindu International BLDG No.345 Huanchenxi Road.